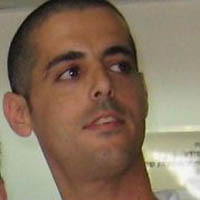 Raz Bachar is a Business Development Manager Leading the EMEA Start-Up Eco-system team at Amazon Web Services (AWS). He is working with early stage and mature start-up companies as well as other members of the start-up eco system in Europe, Middle East and Africa, such as Venture Capitalists, Accelerators and Incubators. In his role Raz helps start-ups to understand the benefits of AWS and mentors them in order to rapidly grow their businesses with the help of cloud technologies. During his career Raz has worked in enterprises and start-up companies as well founded his own his own Cloud Services Company. Raz is leveraging this experience to help start-ups to grow their business and boost their global reach.